Nanaka 6/17 is a light comedy about Kirisato Nanaka, a 17-year-old girl who falls down some stairs and loses 11 years of memories, causing her to revert back to her six-year-old self. Her childhood friend Nagihara Nenji, and her father attempt to shield Nanaka's condition from the rest of world as she resumes high school life as effectively a six-year-old in a 17-year-old's body. Nanaka herself, of course, believes she and Nenji are still actually six-year-olds and convinces herself that they have magically become adults after making a wish together. Nanaka 6/17 is a fairly amusing situation comedy but also deals quite deftly with the nature of various relationship and the occasionally untenable demands of social expectations. 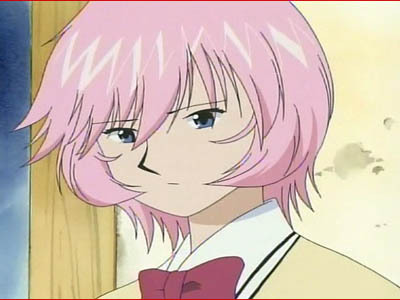 The show frequently leads the viewer to consider the contrasting personalities of Nanaka herself and those of the people she affects. The 17-year-old Nanaka is an intensely serious, studious, curt, and self-absorbed individual. She is eager to reach adulthood and finds the antics and idle gossip of her classmates to be childish and trite. However, 17-year-old Nanaka is also not well liked by her peers and she knows it. She knows her coldness alienates her from her classmates but does not seem to care—often looking down upon them as they whisper spitefully amongst themselves. Furthermore, 17-year-old Nanaka even infuriates Nenji, her oldest friend, with her critical remarks about his immaturity and lack of direction. In constrast, the six-year-old Nanaka is filled with wide-eyed innocence and a genuine love for life. She is boundlessly optimistic and filled with joy. In return, the change in Nanaka's personality also affects the people around her. For example, Nanaka's newfound affability makes her more popular with the boys at her school who find it refreshing that a girl is willing to be so friendly and straightforward. Naturally, her female classmates continue to hate her, although their cattiness is now in response to her sudden popularity with the boys and a bit of self-loathing at their own inability to be as unguarded as Nanaka. 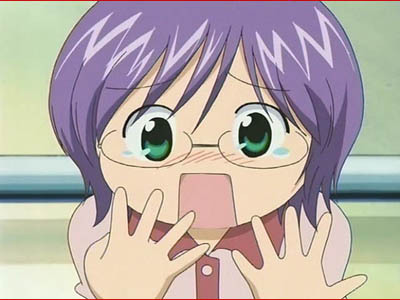 The person most affected by Nanaka's transformation is Nenji. Now shouldered with the responsibility of watching out for his old friend, Nenji becomes much more mature and manages to bring direction and discipline to his own life as he strives to return direction and discipline to Nanaka's. Despite his ridiculous, pointy hair, Nenji becomes a remarkably level-headed [Ha! I kill me.] kid; in a way, his own transformation is no less dramatic than Nanaka's. 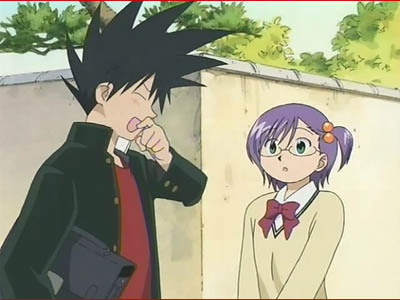 Nenji also struggles with his realization that in many respects he likes the six-year-old Nanaka more than her 17-year-old counterpart. Nenji is somewhat torn between the fact that he misses the 17-year-old Nanaka whom he genuinely likes despite her coldness and his affection for the "younger" Nanaka. Nanaka is simply more fun to be with now that she thinks she's six years old and Nenji realizes with some dismay that he's also more attracted to her. 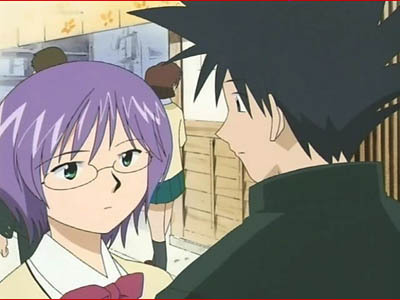 This theme is also echoed in the affection Nanaka's male classmates feel for her and the crush Nenji's rival, Arashiyama Jinpachi (completely unaware that Nanaka is suffering from this peculiar form of amnesia), develops for the six-year-old Nanaka. 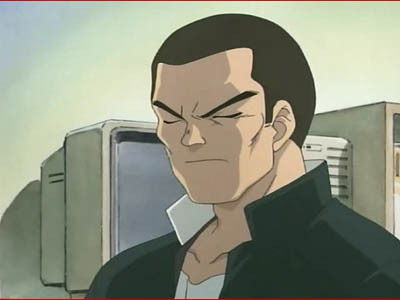 Jinpachi, like Nenji, was once an immature and callow youth, prone to fighting, but he has also now reformed due to Nanaka's influence. Viewed from a more serious perspective, in this way Nanaka 6/17 indirectly addresses the nature of pedophilia. Although her classmates still see Nanaka as a 17-year-old, she unquestionably becomes more popular with the boys after reverting to her six-year-old self. 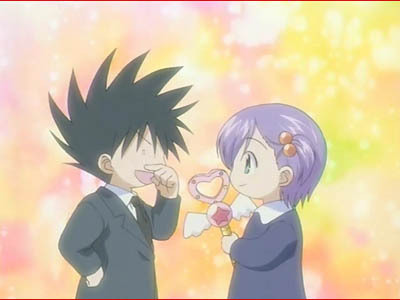 Likewise Nenji finds himself more attacted to Nanaka now that she is essentially a six-year-old in a 17-year-old's body even though he is fully aware of her condition. The obvious implication here is that it is possible for a person to be attracted to someoone for whom they are regardless of their age. In this way, Nanaka 6/17 implies that pedophiles are not necessarily deviants but rather just victims of circumstance. They are attracted to the person, not the child; it is only coincidence that these persons happen to be children. This bit of speculation, however, probably dissects the moral implications and themes of the show a bit too finely. This line of thought is certainly far more serious than Nanaka 6/17 attempts to directly develop. All the implications themselves are there, but the show itself is generally lighthearted and comic. 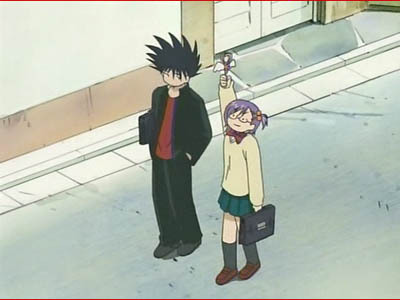 The focus of the show actually tends to involve the six-year-old Nanaka's "fish out of water" and "Freaky Friday" antics. 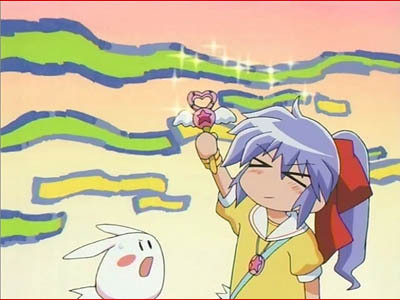 Also significant is Nanaka's fascination with Magical Domiko, a cartoon from Nanka's childhood about a magical girl and her adventures. Nanaka is a big fan of Magical Domiko (which is conveniently still being televised 11 years later) and tries to emulate its eponymous heroine as much as possible by adopting her characteristics and mores. 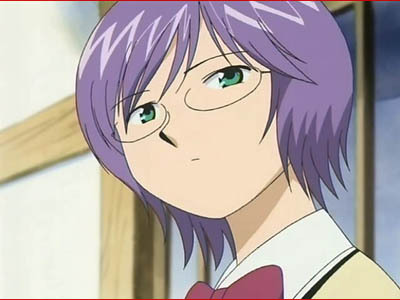 The real heart of Nanaka 6/17 are the plotlines that focus on Amemiya Yuriko, a classmate of Nanaka and Nenji. 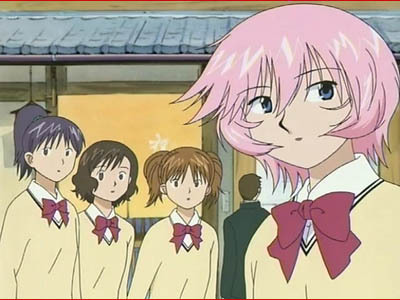 Although initially hostile towards Nanaka, Amemiya develops an affection for her as she sees both her own current self and her younger self reflected in Nanaka. Amemiya also grows increasingly fond of Nenji and her quiet romantic interest in him contrasts quite well with Nanaka's ebullient friendship. Amemiya is voiced by Yui Horie of Naru and Multi fame. In a way, one can "see" the Narusegawa in Amemiya mostly by hearing subtle inflections in her voice. However, although one can sense the Naru in her, the characters are actually quite different. Amemiya doesn't have Naru's temper, for example. It is also apparent that Amemiya has the capacity for much more cruelty, but she does manage to exercise restraint. Although it's probably too early to tell, I find that the Amemiya storylines the most interesting and find that she's becoming a real peach. Nanaka 6/17 is currently being fansubbed by Anime-Conan. #anime-conan@irc.aniverse.net. Eight episodes have been released thus far.